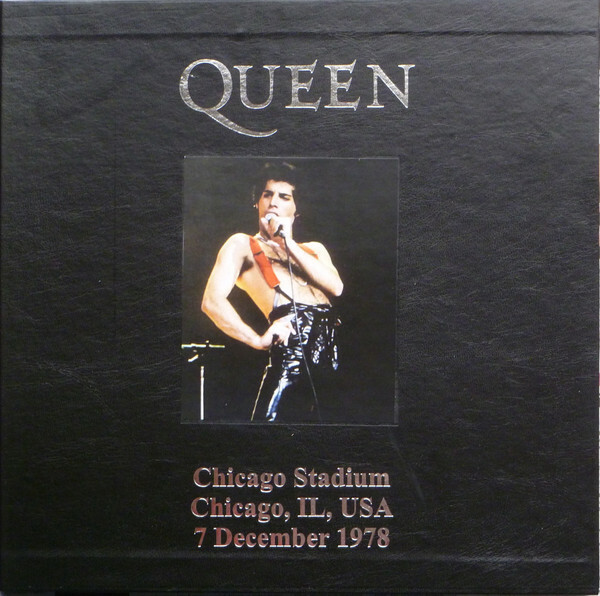 Recorded: Chicago Stadiom, Chicago IL, USA December 7th. 1978. 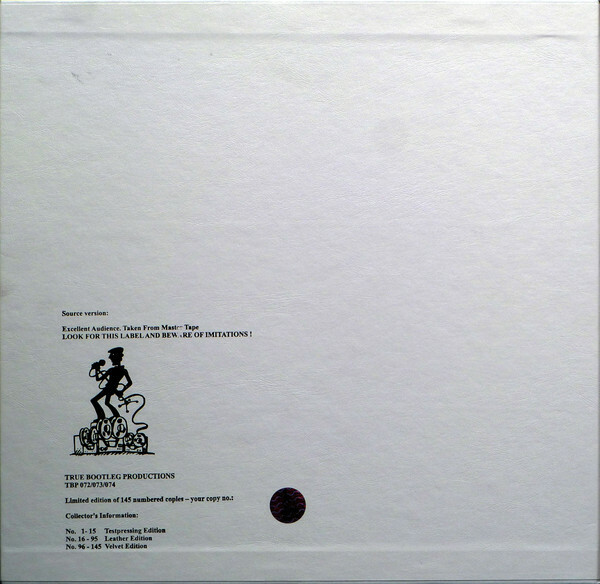 Cover: 1-15 Test pressing, white leather FOC, white slipcase, white label records. 16-95 Blue or red leather wrapped FOC, CV. 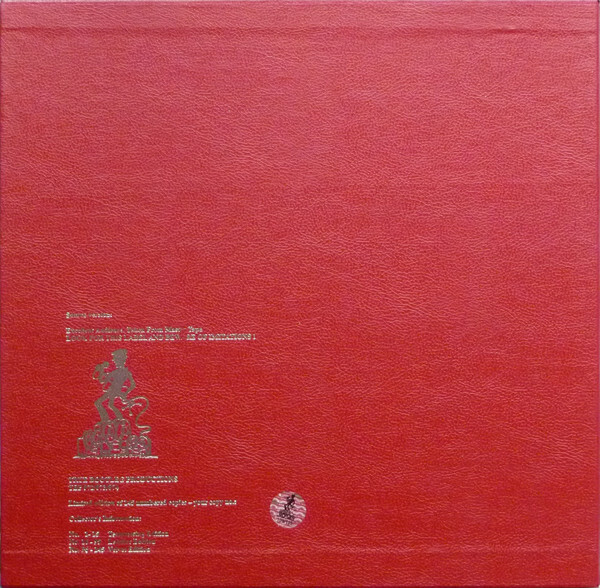 96-145 Black velvet FOC, black leather slipcase, or red velvet FOC, red leather slipcase, CV. Comments: Nice vinyl bootleg. 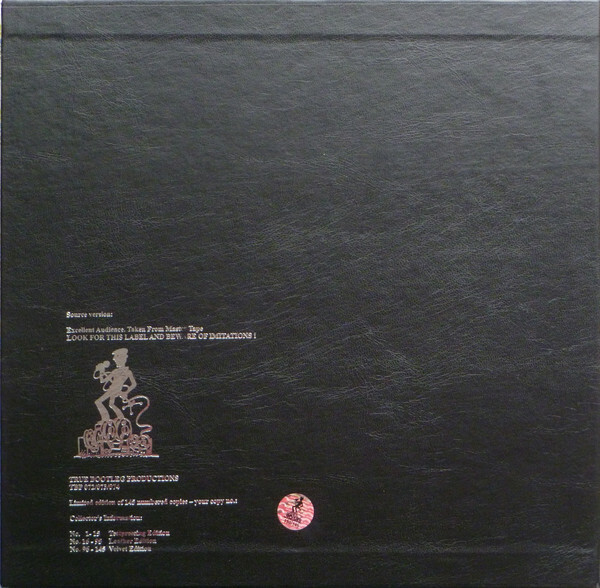 Limited edition of 145 number copies with various cover versions. 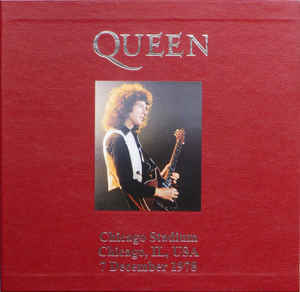 Released on red or blue vinyls, with various pictures on cover. 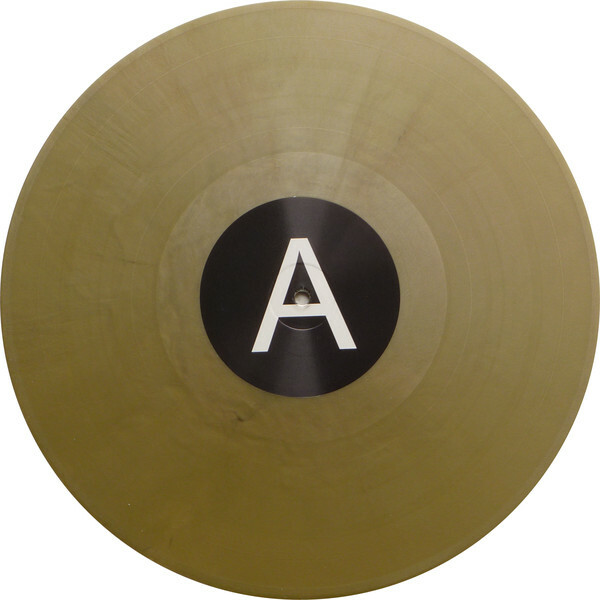 Test pressing on black vinyl. 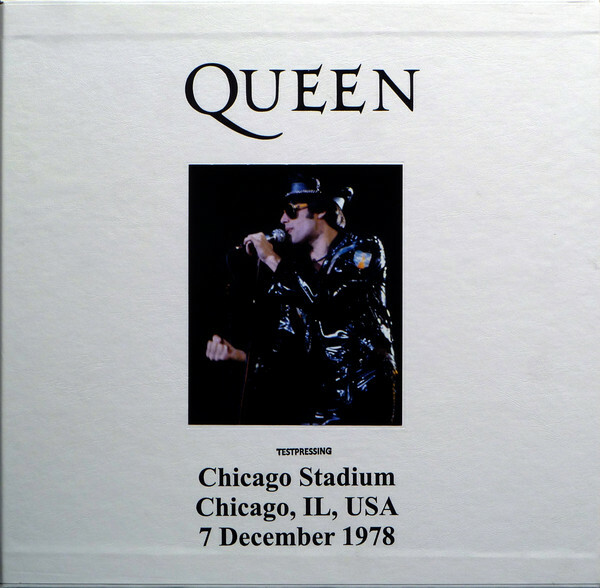 All comes with fold-out cover, in black or red velvet, or in blue or red leather. 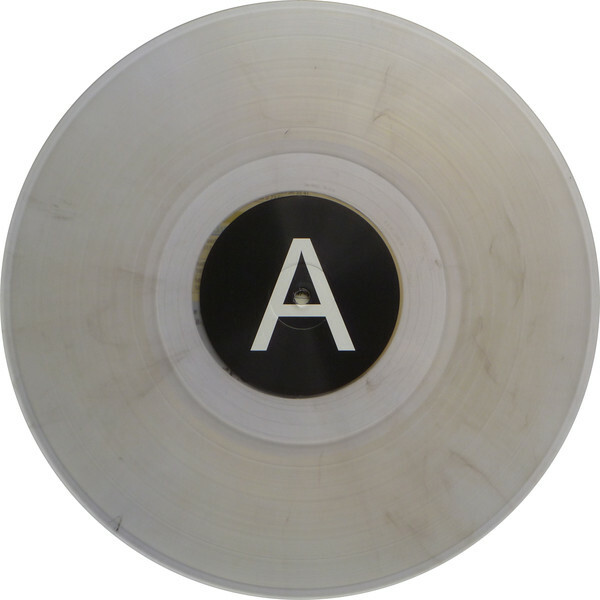 Test pressing in white leather cover.